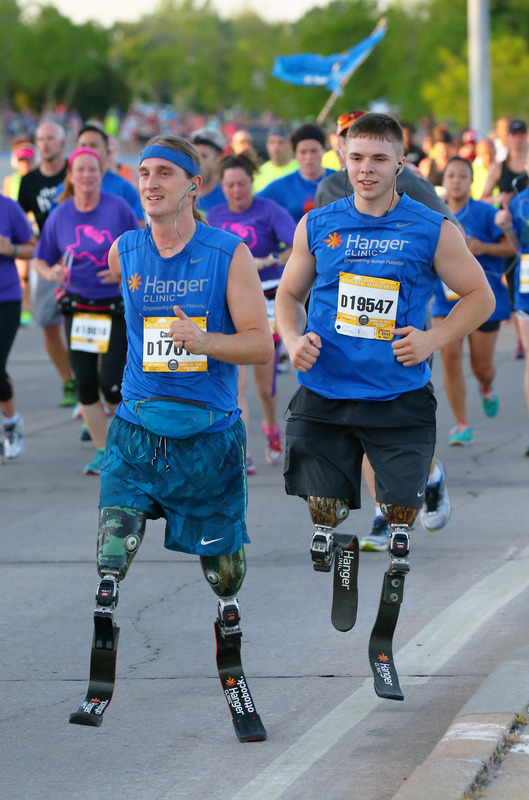 Oklahoma City, Okla., April 25, 2016 – FoxNews.com recently featured two Hanger Clinic patients—triple amputee Cameron Clapp and double above-knee amputee Seth Alexander—preparing to run the Oklahoma City Memorial Half Marathon together. Clapp and Alexander chose to run the race as a way to thank their Hanger Clinic care providers, including Oklahoma City-based Hanger Clinic Manager Chad Simpson, CP. 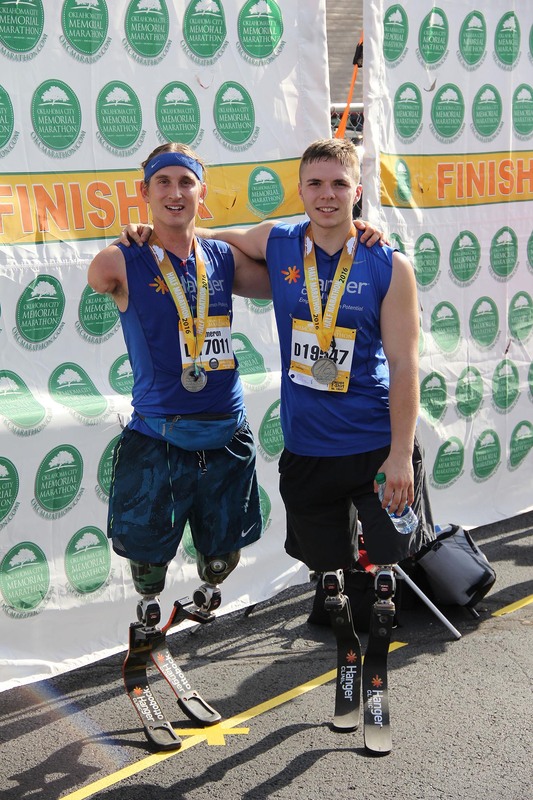 Both men also regularly attend the Hanger Clinic Annual Bilateral Boot Camp in Oklahoma City, where they serve as mentors to others living with limb loss. This race was Clapp's fourth half marathon and Alexander's first. Both finished the half marathon with personal best times. About Hanger Clinic: Founded in 1861 by the first amputee of the Civil War, Hanger Clinic, a business unit of Hanger, Inc., owns and operates 750+ patient care clinics nationwide, including ten in Oklahoma. The certified clinicians of Hanger provide patients with the latest in orthotic and prosthetic solutions, including microprocessor devices for those with limb loss and neuromuscular technologies for those with paralysis due to stroke, MS and other debilitating conditions. For more information on Hanger, visit www.Hanger.com, and for more information on Hanger Clinic, visit www.HangerClinic.com.